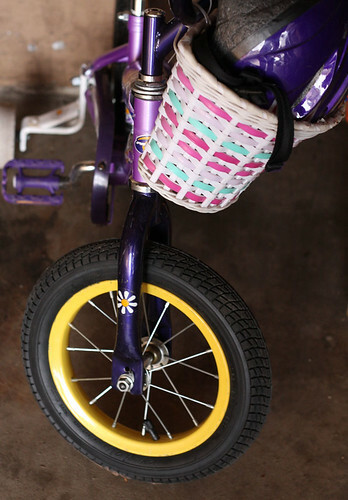 Sophia received her very first bike for her 3rd birthday nearly two years ago. It took her all of about five minutes to figure out how to pedal and off she went. We took the bike out of the garage last spring and found that she had a flat tire. 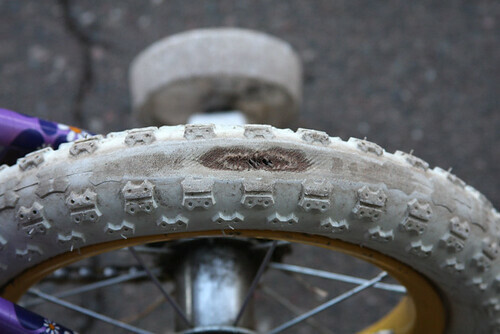 She had worn all the way through the tire and the tube was bulging out. Mike replaced the tire and the tube and she was off again biking like crazy. Mike pulled her bike out of the garage again this year. 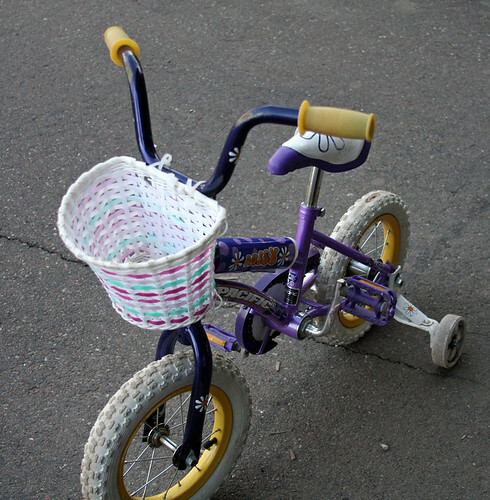 She rode one block…another flat tire. Mike set out this past weekend to find another tire and another tube. He came home with two brand new black tires and one tube. He had no luck in finding a 12″ white bike tire. It took him quite a while to replace both tires, but he wanted her to have a matching set. 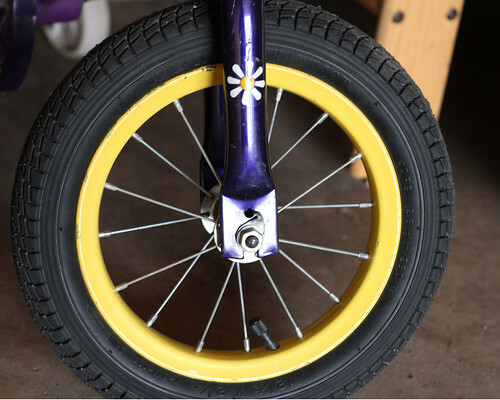 Although her bike doesn’t have the same look as the white tires offered, we are hoping the new tires are durable enough to last until next year when she has outgrown the bike. 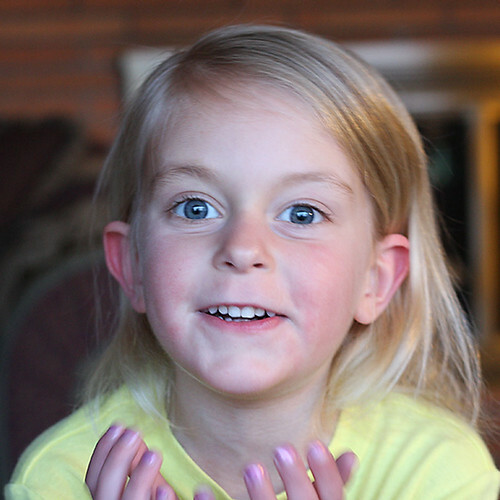 A new bike for her 6th birthday next year may be appropriate – sshhh, it’s a secret. Here’s a couple of photos of the mad biker from last night. I know it would be more appropriate to show her on her bike, but I haven’t had a chance to get a picture of that yet. 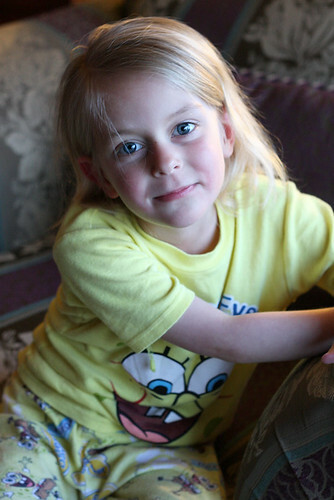 For now, here’s Sophia with her purple nails and Sponge Bob pajamas.